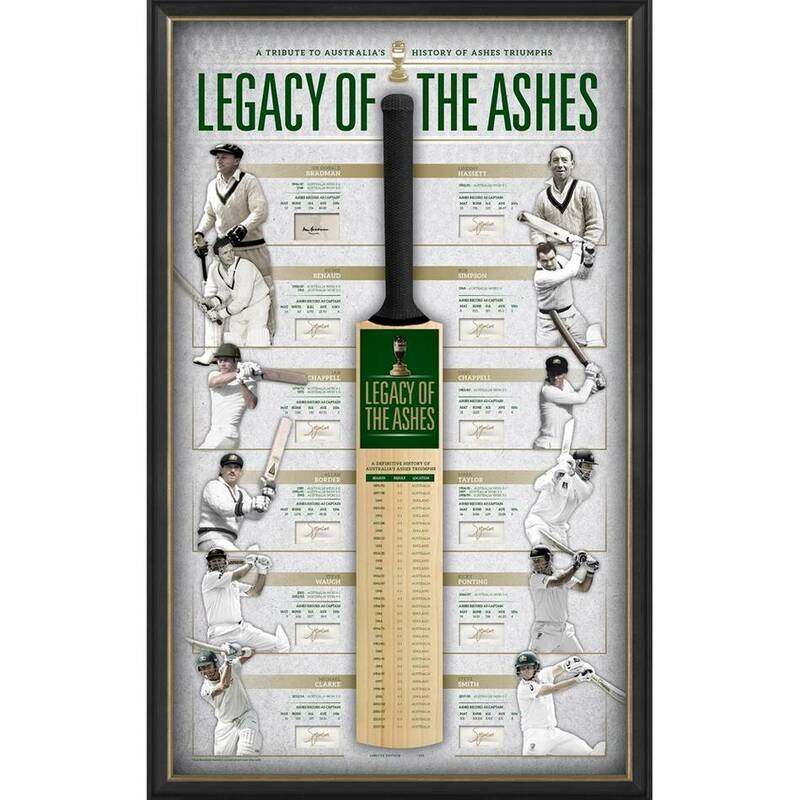 Official Memorabilia, in conjunction with Cricket Australia, are proud to release 'Legacy of the Ashes', a stunning bat display paying tribute to Australia's greatest cricketing captains who have led the Aussies to Ashes glory. Personally signed by 11 of Australia's 12 Ashes-series winning captains in the post-war era, 'Legacy of the Ashes' is limited to just 100 editions worldwide and comes officially licensed by Cricket Australia for your piece of mind. A once in a lifetime piece, secure your edition now before they sell out!